Disclosure: I received a copy of this book complimentary for review. No monetary compensation was given, and all opinions are my own. Although I'm not a college senior, graduation is right around the corner. I know that for most of my friends who are graduating, there is a lot of uncertainty about what to do after graduating college. However, even if you're not graduating college yet, I'm sure that so many people are still worried about what happens next. Well, now there is no reason to worry! 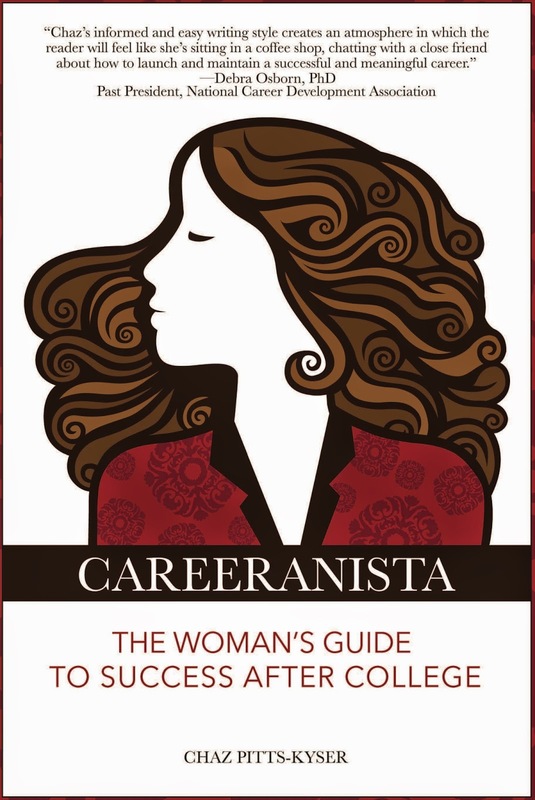 Careeranista: The Woman's Guide to Success After College is a practical career guide that helps women (sorry, men!) in navigating the "real world" after graduation. The book covers a wide variety of topics, from applying for jobs to handling rejection, from negotiating your salary to working around office politics, and even from where to live and dealing with sexual harassment in the workplace. The book is filled with so many resources and expands even beyond the book as well! More resources and stories about women's experiences post-graduation are also on the Careeranista website. Chaz Pitts-Kyser, the author of the book, provides so much insight into what happens and what to do to help you. The book goes into so much detail and shows specific examples of what to do and what not to do in different situations. It really is a book that all women should read! Even though I still have a couple years until I graduate, I definitely am keeping this book under my radar as a resource! I can even use these now to prepare myself for the job market, like managing my social media and practicing professional email-writing. If you're interested in purchasing this book, you can get it for your Kindle or in paperback on Amazon or the Careeranista website. There are even preview pages on the Careeranista book's website if you're still not sure! What are you waiting for? Start prepping for your future and become a Careeranista! I am struggling to find work -I think right after college this would have been awesome because, at 35, I still don't handle rejection well. Aww I am so sorry to hear that! The book even has a section dedicated to handling rejection! My Blog's First Anniversary + A GIVEAWAY!